BuyingWhether you’re a cold-brew connoisseur or you just want a basic cup o’ joe, our experts find the best coffee makers and gear to keep you at peak caffeination on any budget. We have picks for espresso makers and accessories, basic coffee makers, and the best equipment to get your grind down to a science and make your pour-overs more precise. ChoosingWhether you’re a cold-brew connoisseur or you just want a basic cup o’ joe, our experts find the best coffee makers and gear to keep you at peak caffeination. It looks clean but does this bike have a hidden past? An HPI check will stop you from buying a lemon. An HPI check will query professional databases, from the police to the DVLA and credit companies to ascertain the history of a vehicle. Performed by a specialist HPI company, they highlight any potentially detrimental information about a vehicle. Buying a second hand bike involves a certain amount of risk, especially if you’re buying a bike privately. Whether you are buying a bike with cash or using finance to help fund your purchase, you want to know that the bike you are buying is worth every penny you are paying for it. Criminals are getting very clever with stolen bikes and can easily convert a stolen bike into a ‘legitimate’ bike, with a convincing V5 log book and ‘factory’ keys that work with the bike’s immobiliser. The numbers will all tally up but it’ll be a clone of a genuine bike that’s out there somewhere. An HPI check will spot this. Buy without an HPI check and you could make the finance agreement invalid or present legal ownership problems buy buying a ringer. 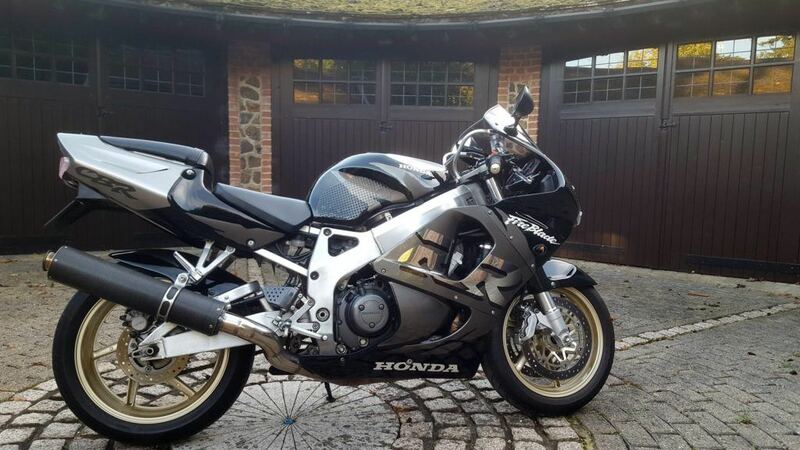 Why Bother With An HPI When Buying A Second-Hand Motorbike? When you buy a used motorbike, there are many important checks you need to undertake before you hand over your hard-earned cash and ride it away. Not least of these is ensuring that your new bike is roadworthy, mechanically sound and everything the seller claims it to be. But, with so many motorbikes being purchased on credit these days, it is also important to check that the bike you are thinking of buying is free from any outstanding debt, unencumbered and legally yours to own and ride away. Finally, you want to know that the bike isn’t stolen and cloned, stolen-recovered or a Category A, B, C, D (and now N or S) write off. Such checks are called HPI checks – and we would thoroughly recommend having one done prior to purchasing a second-hand vehicle of any type. Are All HPI Checks The Same? Absolutely not! There are varying different levels of service available from a wide range of providers. The price they charge will also vary dramatically. Without sounding too cliche, when it comes to peace of mind, you really do get what you pay for. Free or cheap bike checks or those that are sent out via text message can miss out on vital criteria. The more reputable bike checks available through well-known organisations like The AA, the RAC or HPI may cost you more but will provide far more detailed and reliable information. When you are about to invest thousands of pounds into a new motorbike, paying £20 odd for a full HPI check versus £3 for a cheap check really is a sound investment. There is no such thing as a free HPI check. Some services claim to offer a free bike check (note, they don’t mention HPI) but what this is, is a way of getting you in so they can sell you an HPI check or similar trustworthy service. All of this info is already available on the government’s website. You can check a vehicle’s MOT and tax status here for free, giving you exactly the same information as the ‘free HPI checks’. If you want more info on a bike’s MOT history you can look for MOT apps in your app store to see each year’s report and further info on any advisories or failures. The free bike HPI checks try to sell you a proper HPI check from a reputable provider and if you click their links, you make them money. The paid-for, (circa £3) text check services offer a little more info than the free services but the info they provide is highly questionable. In short, you can’t trust the data. Just look at the customer reviews for this text checking service to see what we mean. As you can see from the table below, the official services from The AA, HPI and RAC are actually useful and cover you in the event of the information being incorrect. Our vote goes for the HPI check as it’s the original and our opinion, the best. It costs £9.99 for their basic check but we’d go for the £14.99 check which covers everything including whether the bike is a clone. If you buy three checks, it’s just £29.97 which works out at £9.99 per check, valid for up to 2 years. You’re covered for up to £30,000 should the data turn out to be inaccurate which is great peace of mind. The RAC’s multiple check, which works out at £6 per check (£29.97 for 5 checks) is also a worthy contender. It offers almost everything HPI offers and covers you for up to £30,000. It also includes any data the RAC have on that particular model in terms of reasons for breakdown call outs. The AA and HPI’s checks are both also good options – however it’s worth noting that The AA’s check is just a re-badged HPI check. The two are identical. The cheap text checking services just offer the features you can see for free on the government’s website and they don’t cover the crucial area of outstanding finance, plus they come with no guarantee which is dubious, to say the least. Is it recorded as stolen? What Does An HPI Check Cover? Outstanding finance – This is a big one! If there is outstanding finance on the bike, you will not become its legal owner as the finance company still has an interest in it. Worse still, the finance company would be within their rights to repossess the bike, even if the original agreement had nothing to do with you. A lot of the time, a seller isn’t trying to fob you off, they just don’t know how to clear a bike’s finance. With as many as 25% of vehicles that undergo an HPI check having outstanding finance, you can see why the threat of inadvertently buying a bike that still has finance on it is very real. Stolen Bikes – Bike thefts are on the rise, and if they are not broken down for parts, they are often sold on for a quick profit. Not only could you feel potentially awful about handling or owning stolen goods, the bigger problem here is that if the police track the bike down, they could seize it with absolutely zero compensation coming your way. Bikes That Have Been Written-off – If a bike was so badly damaged in the past that the insurance company considered it to be an “insurance total loss” or “write-off” this will be noted with the DVLA. In as many a 4% of HPI checks, vehicles have been written off, repaired and then resold. The worry with this, of course, is that the repairs may not have been undertaken satisfactorily, leaving you with a potential death trap on your hands. You will need to be provided with proof that they were repaired reliably and are now safe to ride. You would also expect to pay considerably less for a certified CAT C or D, N or S motorbike. Stolen V5 document check – If the V5 document accompanying a vehicle is part of a stolen batch, you can’t trust the legitimacy of the vehicle. The Identity And Authenticity Of The Bike – For your own peace of mind, and to make sure that you are not being lied to, a vehicle check will confirm with the DVLA the make, model, current colour & prior colour, transmission and engine size, as well as how many times the bike has changed hands. Plate Transfers For Private Plates – This is a usually an innocent change of plates for the previous rider to show off their swanky private plate, but in some cases, a change of plates can be used to hide a bike’s past, so it is always worth asking questions about it. Number plate and VIN/chassis numbers – A vehicle check will tell you whether the VRM and VIN numbers fully correspond to DVLA records. If they don’t, there could be a number of problems with the bike, that could make it potentially very unsafe to drive and maybe not even legal to own. If you are thinking of purchasing a second-hand bike, be sure that you or your dealer undertake a comprehensive HPI check before you commit to buy. What doesn’t an HPI check cover? There are some things that an HPI check won’t tell you. This includes a list of the bike’s owners (both current and previous) but these don’t really affect the transaction and any risks involved. Nor do they tell you about every accident a vehicle has been involved in (it’ll only tell you if it has been in an accident where it is an insurance-category write off), nor will these checks tell you anything about the bike’s service history. The seller should hold the paperwork to help you satisfy questions on most of the above. Ideally the seller will have all the original manuals and paperwork from the day it was purchased, both keys and the ‘red’ key, MOT paperwork (if it’s older than 3 years old) and all servicing paperwork. If a seller is selling a bike with just a log book and next-to-no paperwork, this should be a huge alarm signal, so before you HPI check a bike, check with the seller and ask for pictures of all the paperwork. It could save you a wasted journey. Buy better kit, save money. Subscribe for the latest reviews and picks sent weekly to your inbox.